However, no one predicted the events of 15 July 15 2015 when the sudden appearance of perhaps 100 or more smoothhounds provided an astonishing and surreal wildlife spectacle – we think the smoothhounds, a relatively common-but-rarely-seen shark species native to British coastal waters, had come in to feed on crabs and small fish on an incoming tide. Seeing such a large aggregation of smoothhounds and in such shallow water is unprecedented, and has amazed shark experts as much as it did me... and apparently that number of sharks in one place is news-worthy all over the world! Fortunately a couple of local birdwatchers were on site and were able to let me know of the unfolding sharkfest, and the rest, as they say, is on YouTube. Medmerry has changed rapidly since the breach of the old sea wall in September 2013, and the wildlife has been quick to take advantage of the new habitats. Water voles are colonising the new freshwater ditches around the perimeter of the seawall, and reptiles such as slow worms and adders have bred successfully. 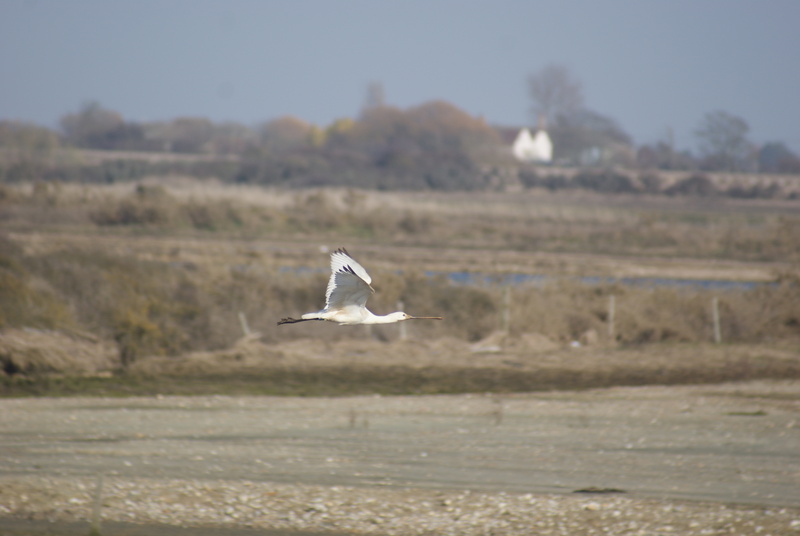 All of the characteristic wetland birds of the nearby Pagham and Chichester harbours, such as brent geese, grey plover, wigeon, black-tailed godwits, dunlin, curlew, little egrets and redshanks, have been seen feeding and roosting within the new intertidal habitats of Medmerry . In addition to these ‘usual suspects’ there has been a fantastic selection of rarer bird species – 4 or 5 short-eared owls spent the winter here, a long-tailed skua dropped in for a couple of days, a great northern diver spent a fortnight fishing (or crabbing!) in one of the lagoons, and 3 spoonbills made themselves at home for 4 months at the start of 2015. Famously, 2014 was very much the year of the black-winged stilts, as a pair nested on the western side of the site, successfully raising three young. This was the first successful UK breeding attempt of this species since the 1980s. 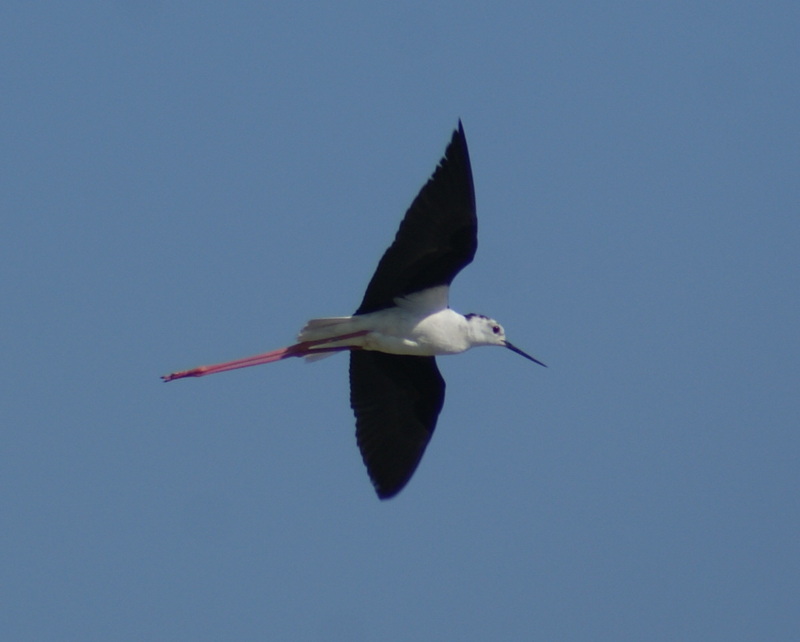 Just as importantly, avocets, oystercatchers and little ringed plovers are also breeding in the same area. Underwater, surveys of fish (carried out by the Inshore Fisheries Conservation Authority) have proved that Medmerry’s intertidal creeks and lagoons are already becoming very important nurseries. Juveniles of sea bass, mullet, flounder, plaice, herring, and many other species have been found over the past two summers. Medmerry is remarkable example of what can be done with creative, wildlife friendly design on a giant scale, adding enormous value to what is primarily a flood defence scheme to protect Selsey and other nearby communities. Will the smoothhounds pay us another a visit? We don’t know, but now that Medmerry is built, we can be sure that wildlife will continue to come. Peter Hughes is a Warden for the RSPB, working at Pagham Harbour and Medmerry. To find out more about the RSPB at Medmerry visit their website or take a look at their Twitter feed.